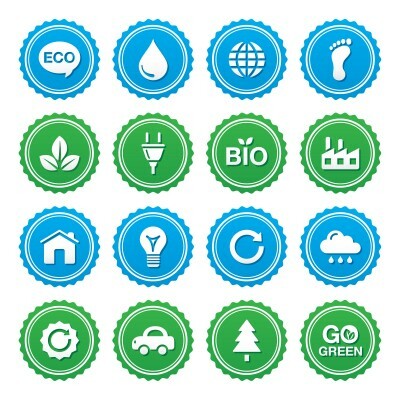 To encourage businesses to produce eco friendly promotional items, organizations that use energy efficient solutions were given a label called WindMade. WindMade was made in collaboration with the United Nations, Global Wind Energy Council, World Wildlife Federation, and Vestas Wind Systems. This label specifies that companies that have this label receive around 25 percent of their electricity from alternative source of energy like wind. Such a label helps the organization save up on their energy costs and gives them a green status as well. At present, this label acknowledges other alternative sources of energy such as solar, biomass, and hydro as well. This change has been incorporated to widen the scope of the label in the market. At present, many organizations get associated with alternative sources of energy. There are two primary reasons behind this trend. Firstly, the organization saves up on expenditures by utilizing alternative sources of energy. Secondly, the organization establishes a reputation as a green company in the market. However, to have an eco-friendly label, the company needs to be registered and certified first. Many businesses associate themselves with more than one source of renewable energy. These include solar, wind, biomass, hydro, and geothermal energies. Many recognized companies such as Dickinson, Motorola, Bloomberg, Widex, Deutsche Bamk, and Becton are associated with such labels. They also have a WindMade label. The Chairperson of WindMade, Steve Sawyer, stated that they are hoping to establish WindMade as a recognizable label in the market. Initially, this label was limited to only wind sources, but now it covers all alternative sources of energy. So, he feels that more and more companies will like to be associated with the label. The main aim to form this label was to make the customers aware of the eco-friendly options that they have. In a recent survey by Vestas, it was found that around 90 percent of the buyers like to be associated with products that are either eco-friendly in nature or are produced by companies that have some form of green element associated with them. Keeping this in mind, the WindMade label was created. Since the new label will incorporate all alternative sources of energy, the name of the label will also change; however, the authorities have not decided on that as yet. The new label will apply to green companies as well as green building, products, events, and organizations.